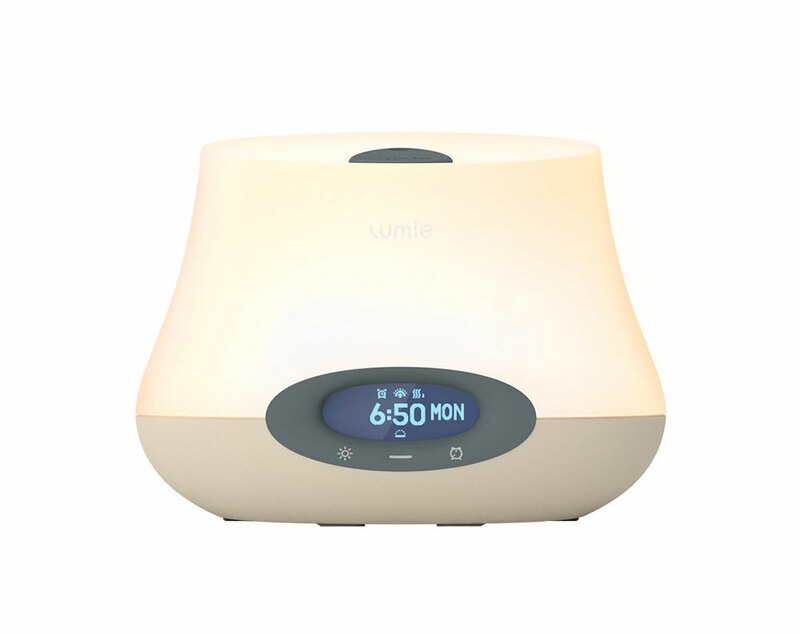 Summary: A simple and basic yet well designed sunrise wake up alarm clock from Lumie with combined Aromatherapy to make it even more relaxing to fall asleep or invigorating when waking up in the morning using your own favourite aromatherapy oils. 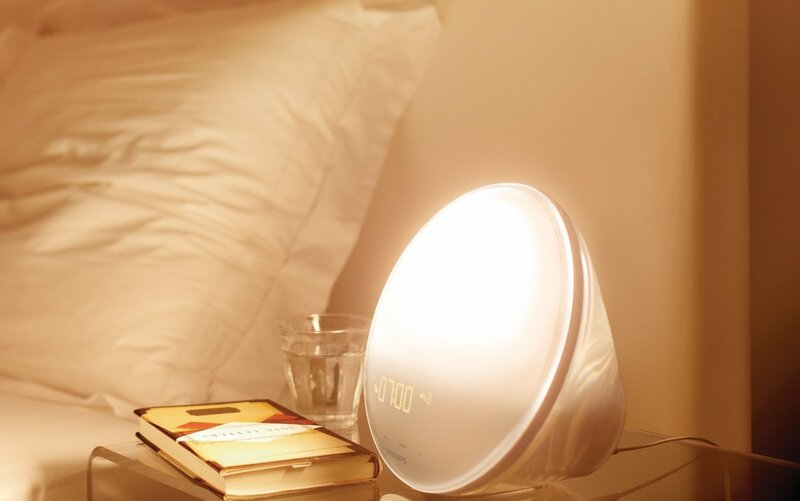 The Lumie Bodyclock IRIS 500 Wake-Up Light Alarm Clock with Aromatherapy is certainly different and a unique sunrise light on the market. 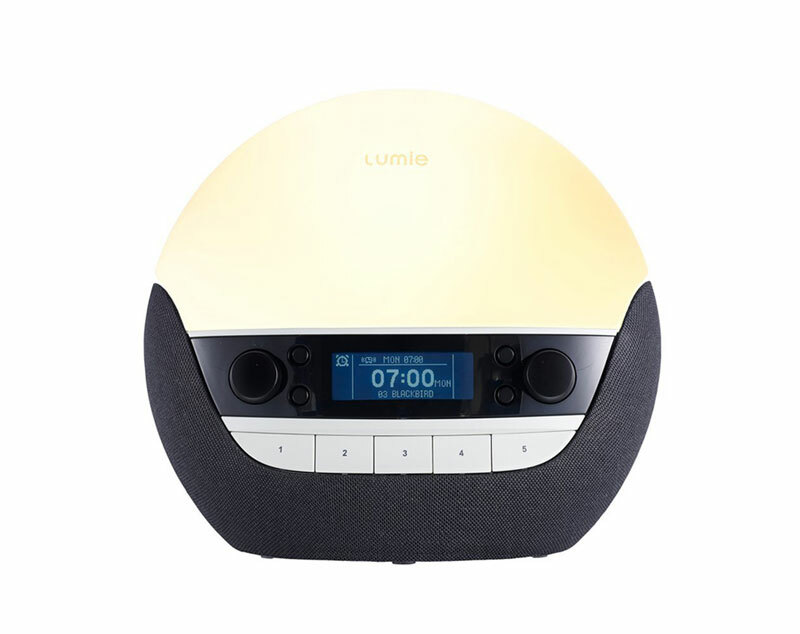 The Lumie Bodyclock IRIS 500 Wake-Up Light Alarm Clock with Aromatherapy looks similar to the other wake up alarms from Lumie but with a chimney design to it on the top for the fragrances to be released. It is a white design with a grey digital clock surround where there is a blue back light for the digital clock, the display does dim too. The menu system is a little fiddly to use and set up, but once you have done this a few times it becomes a lot easier to use. In terms of a sunrise wake up alarm the features are basic, it has a wake up alarm with the sunrise feature as well as a sunset feature for getting to sleep. 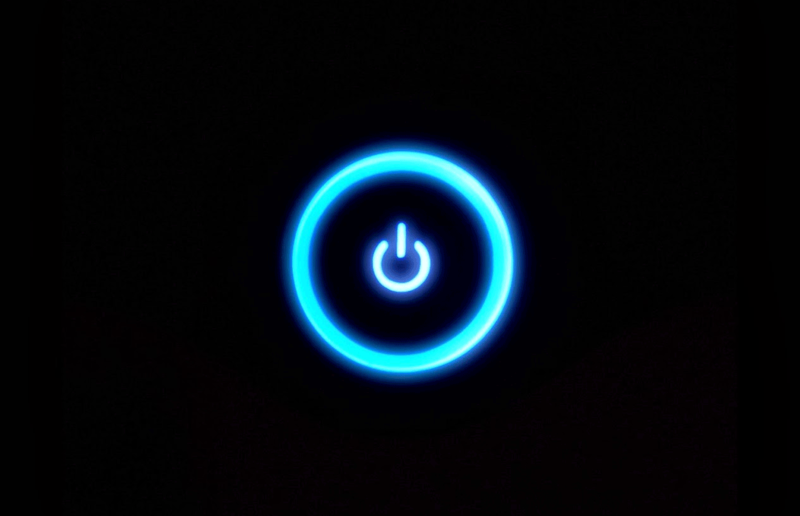 There is a wake up beeping alarm as a back up or addition to the sunrise light, but there are no other sounds or radio built in. So although the IRIS 500 is basic in terms of features for the alarm it has one extra and very different feature which is the aromatherapy. Not only can you now be awoken gently with light, you can now also wake up to invigorating smells and fragrances. 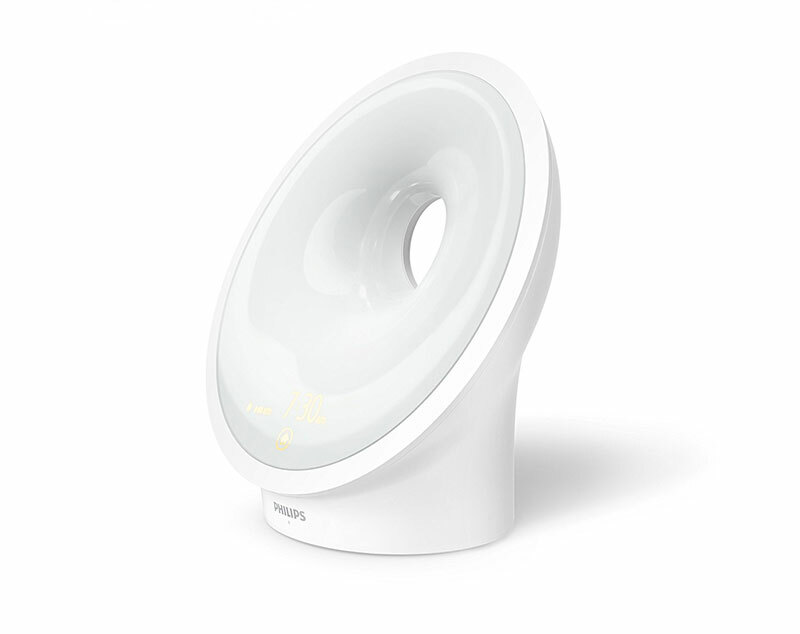 The Lumie Bodyclock IRIS 500 has two chambers built in where you can add your own aromatherapy oils, one for waking up and the other for going to sleep in the evening. You can set up a 7 day programme with the light and aromatherapy easing you awake in the morning over a 15 to 90 minute period which you can set with the light brighting on the morning or dimming down in the evening. 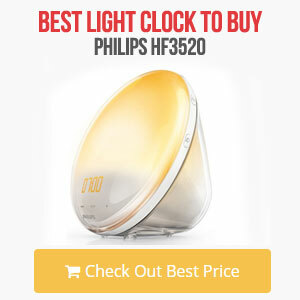 Other features include a dimmable bedside lamp, nightlight and security light, an auto-dimming clock display and remote control for easy use. The alarm function also has a snooze feature as well. The Bodyclock Iris 500 comes with a 2-year warranty as well. 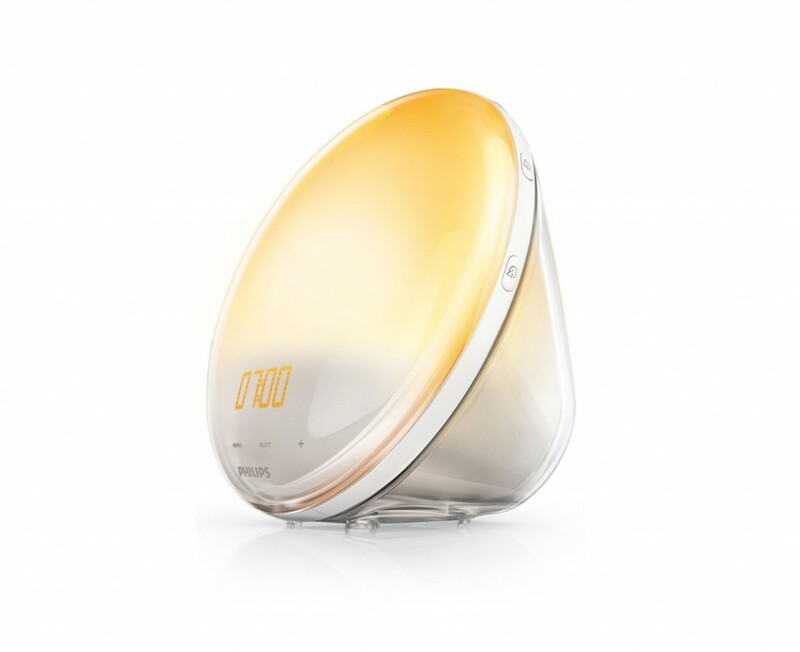 If you just want a simple wake up alarm that has a sunrise feature and you love your Aromatherapy oils then this is a great way to wake up in the morning. 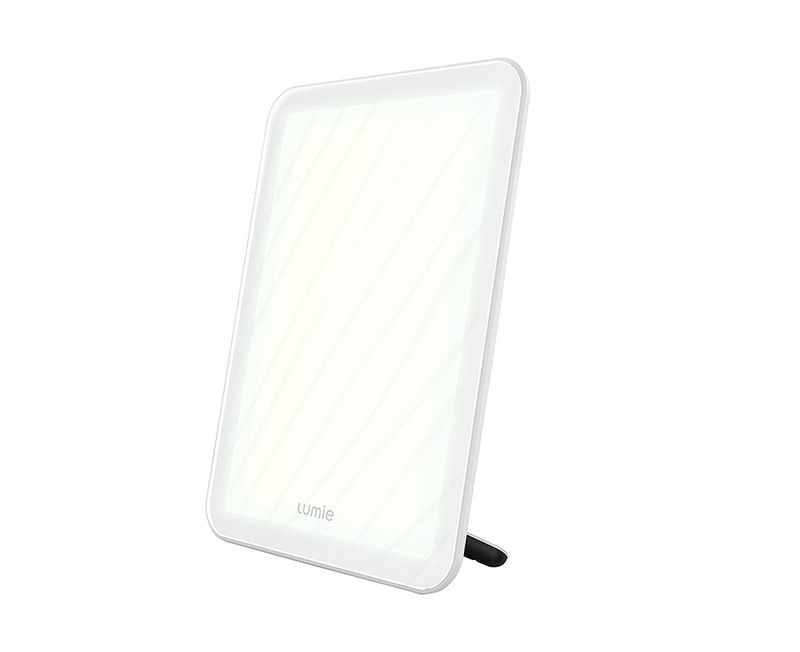 It works well and is a popular choice on Amazon with a lot of great reviews, the menu system is a little fiddly to set up but apart from that it is a great product from Lumie. Great to help with SAD (Seasonal Affective Disorder) and the winter blues on dark winter mornings.